This new style from Pronovias is Boho-Chic at its best! Springtime and flowers inspire this amazing dress with an evasé skirt and halter necklines. 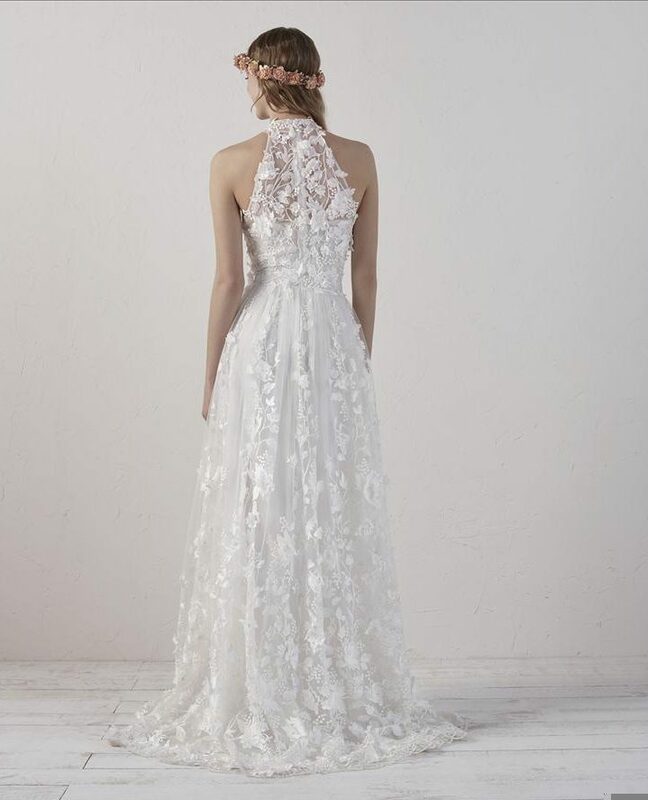 A design crafted in thread-embroidered tulle with speckled pearl appliqués, creating a raised pattern with 3D floral accents that cover and stylise the bride’s body to give her that bohemian and infinitely romantic look. The skirt has a detachable lining.